I get teased by many of my “city” friends for living in such a rural area. I’m not sure what they envision– maybe naked kids running around the yard and climbing on refrigerators that we use as outdoor furniture. This is actually far from true. Surrounded by acres of land, the only thing naked around here is the landscape. Night time during the summer at our home means twinkling stars and campfires. Visitors won’t find a store-bought fire pit. We frequent a campfire so often that it’s a permanent fixture in our landscape. Huge handpicked stones create the perfect place for late night fires and, the all-American classic, s’mores treats. We make s’mores over a fire so often during the summer that I have a wooden caddy that I keep by the door specifically for s’mores by the fire. I call it my Summertime Campfire Caddy. Large marshmallows– Yes, there are huge marshmallows! Even the clerk at the store where I bought them was blown away.Large marshmallows are perfect for s’mores! I keep a Wet-Nap canister on my caddy because, let’s face it, the sticky residue from melted marshmallows lasts longer than the campfire. I have a girly girl who likes making s’mores but who also promptly wants the tell-tale traces gone from her hands and mouth. I used to take rolls of paper towels or a box of baby wipes outside to clean up the mess. Scrubbing s’mores off of a howling kid’s mouth with a paper towel is no fun. But I discovered that Wet-Naps clean up the sticky mess from her hands and mouth with only one wipe! My daughter is definitely glad that she can enjoy her s’mores now with a shorter clean up time. 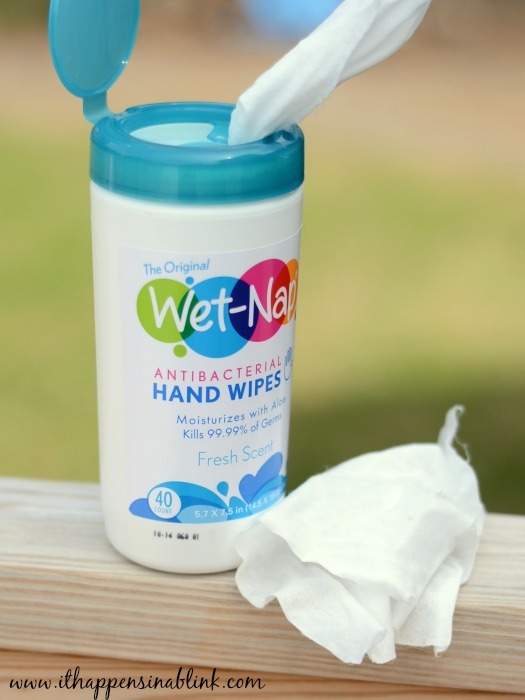 I buy my Wet-Nap products at Walmart because I can find them super cheap there– and this .55 cents off coupon while supplies last makes the price even better! Our campfire is out by her playset. So the adults get to enjoy the fire and grown-up talk while the kids eat s’mores and play. A fun campfire is an easy and inexpensive way to connect with friends and family during the summer time. 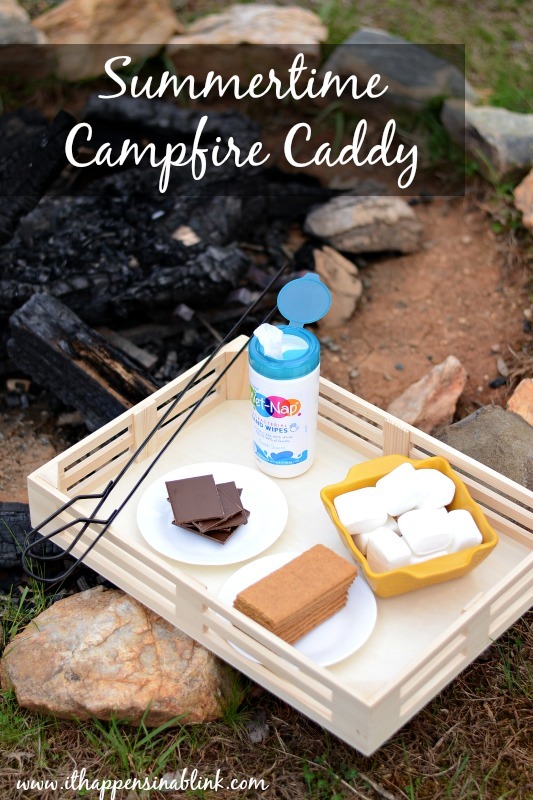 Do you enjoy s’mores and campfires? What else would you throw on your Campfire Caddy? 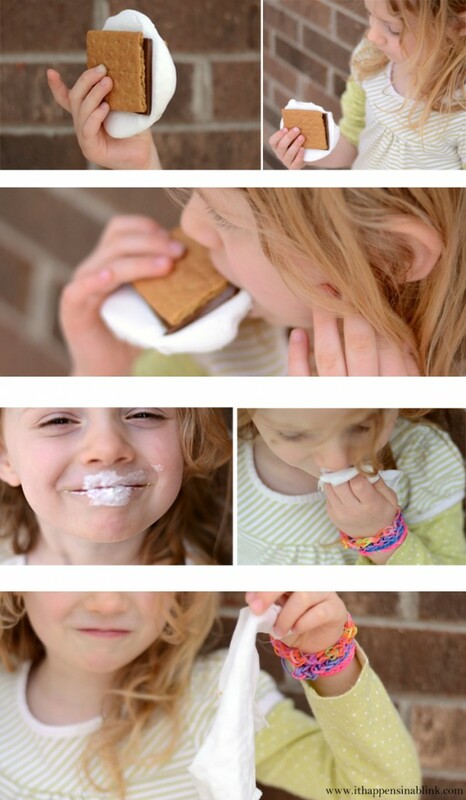 Do you have photos of your kids getting messy with s’mores? Enter them in the Wet-Nap Most Original Mess Contest, where participants can upload a photo entry of their messy kids and share the link across social media. The photo with the most votes wins a $1,000 giftcard to Walmart and a year’s supply of product. Voting will close on June 16. You can see more at: http://contest.wetnap.com/. Want more S’mores? 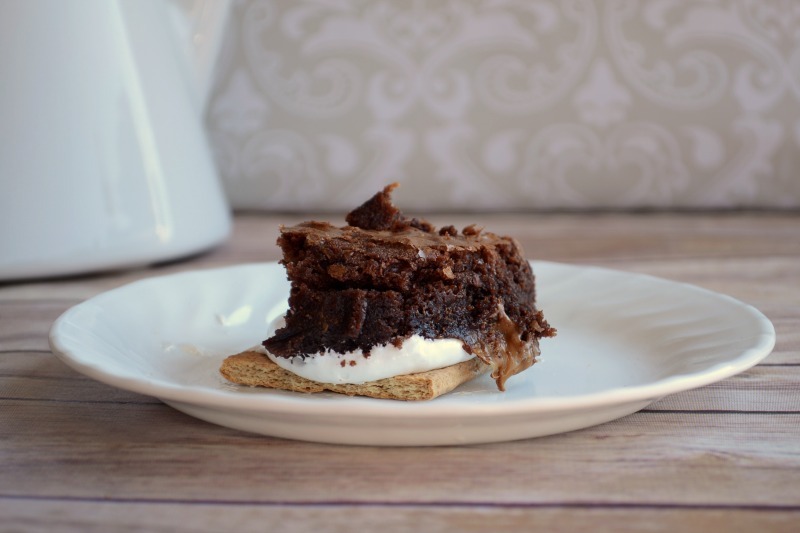 Check out these Brownie S’mores! Melanie, those wet naps sure do come in handy when making s-mores! (That marshmallow is yummy but so incredibly sticky)! 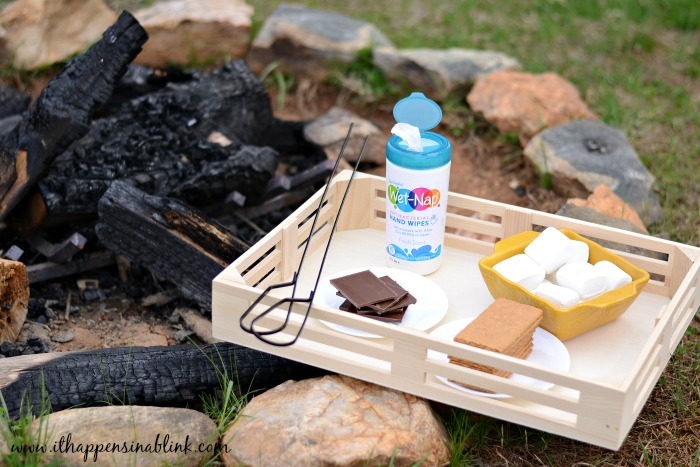 The campfire caddy is a great idea! Your daughter is adorable, even that messy. 🙂 Love your caddy idea!! Those pictures of your daughter eating that messy s’more should be framed! i love them! And, great idea with the caddy. we certainly can get messy around here! That is aDORable! What a great idea! And mmmmm….smores! Smores are such a perfect part of summer! Love the pics!